Ribbit ribbit…I am great company in your patching period and my bandanna can match your patch! Hoppity Frog will keep you company and be your very own patching friend. 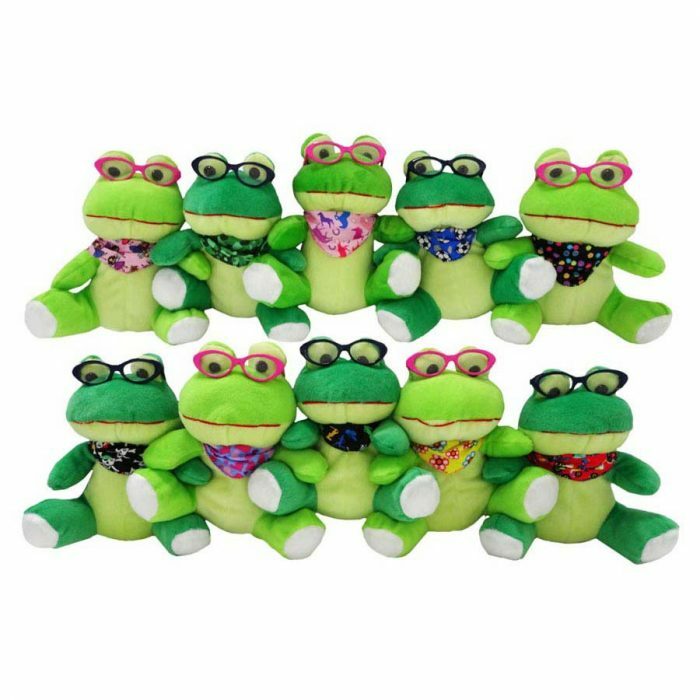 Our froggy friends are adorable, cuddly frog soft toys that wear their own glasses and sport a colourful bandanna to match some of our Kay Fun Patches. You can choose your preferred bandanna design with toy glasses from the drop down menu. These very special toys are all looking for a home and are a perfect match with our Hoppity Frog activity books for a rainy day spent inside. These soft toys are CE marked and come in two shades as shown on the product image.